New Twilight Director’s Letter to Fans! Good news Team Jacob fans! 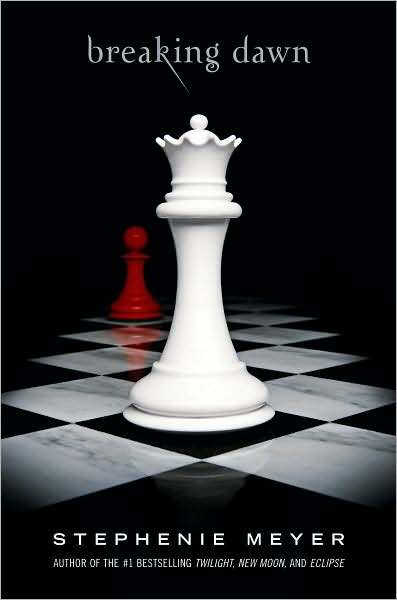 This past weekend, director Bill Condon broke his silence on Breaking Dawn, the upcoming movie adaptation of the fourth novel in the Twilight series. Just like previous directors Chris Weitz and David Slade, the director introduced himself to the Twi-hards with an online letter, reassuring them that he will do his best to make the Breaking Dawn movie as perfect as the book. I just want to say hello to all of you and let you know that I’m stoked to be getting underway on the adventure of making BREAKING DAWN. As you’ve probably heard, I’ve been given a very warm welcome by Stephenie and Team Summit – who are super-focused, as you know, on getting these movies right. I’m pretty busy bringing myself up to speed on what you already know by heart: I’ve read BREAKING DAWN twice, rewatched Catherine’s and Chris’s movies 2-3 times each, have all four CDs playing in my car, and have Catherine’s notebook, Mark Cotta Vaz’s companion books, and even Volume 1 of the graphic novel here on my desk – a corner of my office is starting to look like Hot Topic. I realize that this barely qualifies me for “newborn” status in the universe you’ve been living inside for a few years now, but a guy’s gotta start somewhere. Like many of you, I’ve always been slightly obsessed with vampires, dating back to the prime-time series DARK SHADOWS, which I followed avidly as a kid. But that alone hadn’t been enough to get me interested in making a vampire movie, even though my early screenwriting and directing efforts grew out of a great love for horror movies and thrillers. Since making GODS AND MONSTERS thirteen years ago, however, I’ve been yearning for a return to a story with Gothic overtones. The wonderful world that Stephenie has created has obviously struck a chord with you, and I don’t think it’s difficult to see why. For me, her characters are simultaneously timeless, yet very modern. Rooted in a beautiful, real landscape with a great sense of place, Bella, Edward, Jacob, and the rest of the Forks/La Push menagerie, experience emotions that are primal, and universal: desire, despair, jealousy – and it all comes to fruition in BREAKING DAWN. This is a final chapter in the best sense; not just wide in scope and scale, but emotionally charged and intense throughout. I’m a huge admirer of the already-iconic Kristen, Robert, and Taylor, and wanted to be the one to work with them as they face the challenges of bringing your beloved characters to the end of their journeys. Really, what could be more fun than that? Please feel free to ask questions in the comments section below, and I’ll do my best to answer them. I hope that this will be the first of many occasions I’ll get to check in with you as we set to work bringing BREAKING DAWN to the screen. I am excited and grateful to have all of you alongside me for my TWILIGHT journey. You can read the original note HERE.